Know1Else is an original Americana group that features songs you haven’t heard about things that you have already lived. The band features members Jay Keating, Kelly Diamond, Mae Keating, and John Keating, and they are currently hosting a campaign titled #ResistanceKaroake. Check out their Q&A below! Could you introduce members of the band? From the Facebook page, you appear to be two adults and two teens. Are you a family? How long have you been playing together? K1E: We are the fusion of two great families, the Diamonds and the Keatings, and are supported by the wonderful patient spouses and family members who tolerate and even support our music habit. Jay, a seasoned singer-songwriter, former touring stand-up comic, and producer of radio ads and multimedia, also happens to be the dad of Mae and John Keating. Mae and John grew up singing, and have unique strong lead voices and amazing sibling harmonies. They have written with the group, and Mae has penned her first solo set of lyrics on one of the songs we will perform at the festival, (Lament No Harm). Both have been very active in music and theater through their local schools and Levine School of Music. Kelly, who has a wonderful family of her own and a background in marketing/website development, is a relative newcomer to songwriting and performing. She has co-written some of our best material and brings a fresh mind to grown-up perspectives on life. Together, we bring a multi-generational, good natured tension to the sound and feel of what we perform. You describe yourself as an “Americana band playing music for a Third Wave Audience.” Can you explain that? K1E: Third Wave is a moniker we have given to expressions by the somehow marginal. Know1Else belongs to two different groups of the irrelevant and unhip (young and old), and we write songs that describe and explore life and its many complexities. Our culture expects us to fit neatly into the accepted roles of our generations while the Millennials and “desirable” get all the attention. But being in this phase of life is new to us, and we will write songs that celebrate the happy, funny, tragic coincidence of being alive. Our music is Americana, a mix of styles…folk, jazz, rock, bluegrass, reggae, swing…for where you are now, or where you are headed. Love your motto “Songs you haven’t heard about things you’ve already lived.” Where did that come from? K1E: Our songs are melodic, relatable and, we hope, clever. They don’t fit any formulas or expectations but originate from our own experiences and perspectives, which may not be that different from yours. The way the “New” becomes immediately relatable or familiar is when it tells the truth (or at least ‘a truth’) people can sense and relax in enough to trust. We write about life as we experience it with music that hooks you and words that sound like things you have thought or seen before. We are constantly gratified and surprised by the number of people who talk to us after a show about how a song resonates with their life and experience. How would you describe your music? What are your main influences? K1E: Strong harmonies, good stories and eclectic music are our hallmarks. We came up with our own name, Third Wave Music, to amuse and mystify the pigeon-hole thinkers who want you to pick a musical lane and stick to it. Our main influences are different for each of us. Robbie Williams, Cher, Simon & Garfunkel, The B52s, John Prine, Patsy Cline, the Decemberists, the Beatles, the Beach Boys, and too many good songwriters less famous all come to mind. So complete this sentence: If you like ________, you’ll like Know1Else. K1E: If you like cruising the radio or streaming dial for the best songs, you’ll like Know1Else. Where else can your new fans find you? K1E: We’re working on our first recording and videos. We are also playing all over the DMV and you can find out where and how at know1else.com. We’re active in supporting the local music scene. Jay is on the board of the Songwriters Association of Washington (SAW) and Focus Music, and Kelly is the Communications Director at SAW. We run a monthly showcase called StreamCatcher, which is streamed live on Facebook for now, and will host a monthly Focus Music concert in Bethesda starting in September that will include opening acts selected from local high school musicians. We want to support the great music community in this area and help to grow it. Not just for ourselves but for the many good artists who live here. 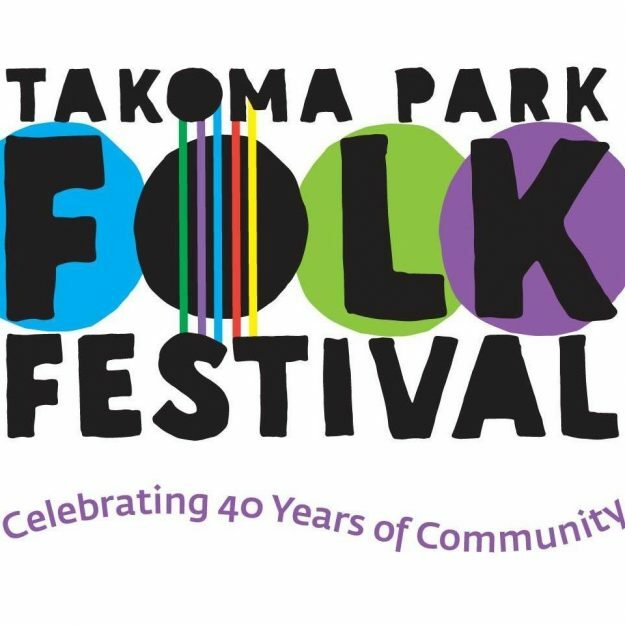 And we are so proud to be part of the Takoma Park Folk Festival because they have done just that for as long as we can remember.